CAS stands for Community Action Service. Community service is usually aimed at helping a wide section of society. 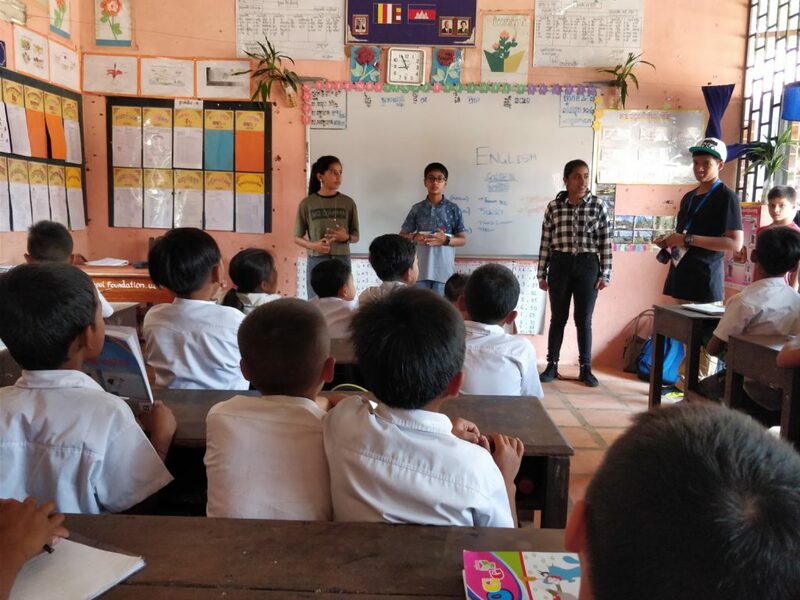 We helped the Cambodian society by conducting a CAS program at a rural school called Spitler Primary School in Siem Reap. We imparted education to the students thereby sharing our knowledge with them on various subjects like Arts, English and Yoga. We also played few games with them. During the Arts Class, we taught them famous artist Piet Mondrian’s style, 2D art and few techniques of colouring. In English, we shared with them a few lessons of phonetics and poetry. We also enjoyed playing football together. We played some interesting and fun games like Word Search, Simon Says and Duck, Duck, Goose. The second day of our program was filled with fun and enjoyment. We had a great time dancing with the students. 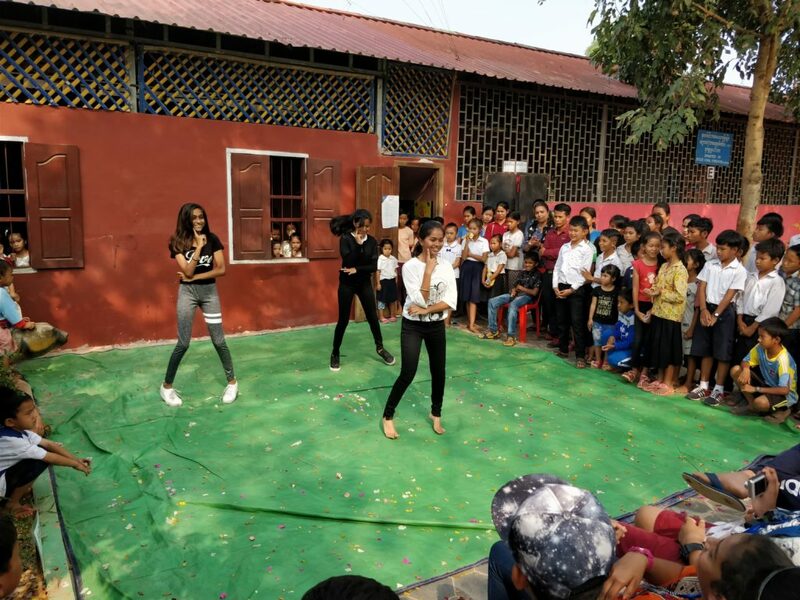 We entertained them with our dancing skills and watched their performances in awe as well. Thereafter, we put up a show of traditional dance forms together. 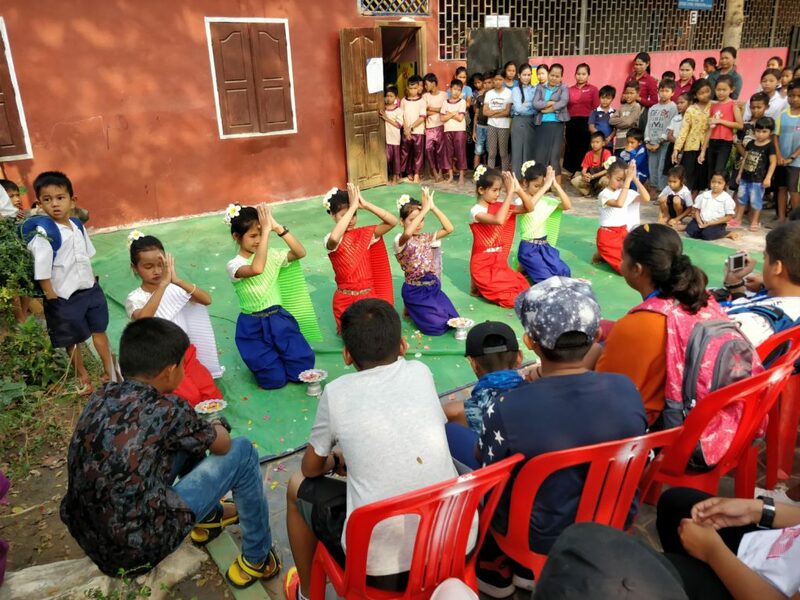 The Spitler School students performed the Apsara dance and Coconut dance, while we performed Bharatnatyam and our all-time favourite, Bollywood dance. At the end of the day, we were awarded certificates by the Principal of Spitler Primary School, on successful completion of the CAS program. Overall, the experience was good but we faced little difficulty in communicating with Cambodian students as they did not understand much English. We are thankful to our translator for helping us. It was a great experience for all of us as the students of Spitler School were very supportive. They gave us a warm welcome to their school. We also learnt a lot through this program. So, next time we will try to be more organised in order to give our best. We will never forget the memories we created with the students of Spitler School. We will surely try to do something similar in future also. Written and Photographed by – Hemangi, Ishan, Mahek, Naman and Saba – Students of MIT Gurukul, Pune. EdTerra Edventures conducts various international and domestic programs for the youth. 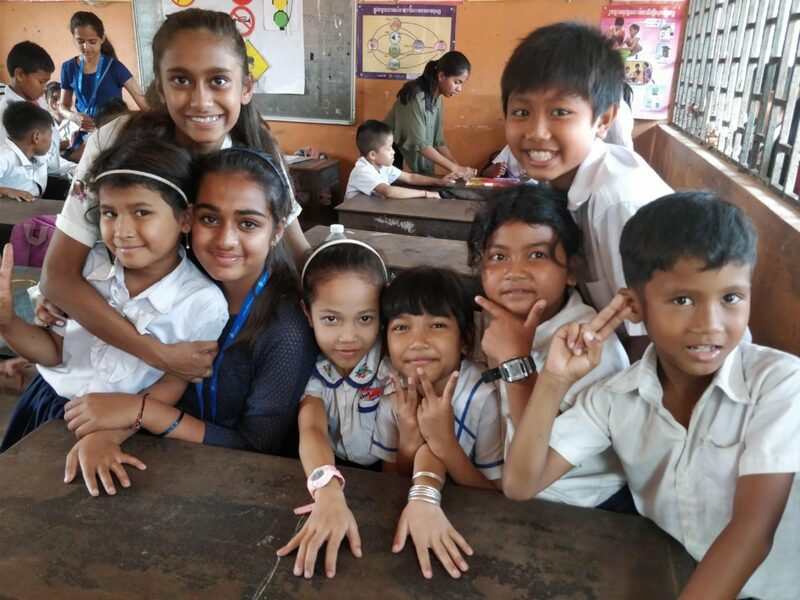 If you go to school and are under 17 years of age, ask your school to contact us to arrange a visit to your school for an introduction to the “Thailand & Cambodia: Gems of Southeast Asia” and other journeys under EdTerra’s Going Global Program.